W.O. Stinson & Son Ltd. is a major supplier of high performance products, lubricants, and race fuels. With brand names such as Kendall Motor Oil, Eni Lubricants, BRAD PENN Motor Oil, Valvoline, and VP Race Fuels, you receive only the highest quality performance products available. Over the years Stinson has supported motorsports in our community sponsoring various types of events, and tracks such as Luskville Dragway, and Calabogie Motorsports Park. Stinson has been very active in the local Car Show scene supporting cruise nights, and is the major sponsor of the Metcalfe Fair car show. W.O. Stinson & Son has also sponsored local racers in the area. You will see the Stinson name and product they are using on various vehicles at the tracks or events in and around the Ottawa Valley. Kendall Motor Oil In 1881 the Kendall Refining Company was established in Bradford, PA, to refine local grade crude oil into kerosene, lubricants and greases. The Kendall brand has served as a pioneer in the industry inventing the first oil designated for winter use, the first prepackaged and factory sealed one-quart oil can as well. Eni Lubricants Eni has always been involved in the research and production of high performance lubricants for all types of engines; from the first synthetic oils more than thirty years ago to their current high quality products. The experience gained in their history as a leading Italian lubricant company have made Eni products ideal for all types of engines and all kinds of applications. PENN GRADE OIL PENN GRADE High Performance Oils are specially formulated using high quality base stocks and select additive technologies. These oils meet the stringent lubricating demands of high-performance, highly stressed, street and racing engines. PENN GRADE High performance oils deliver excellent protection to heavily stressed engine parts, such as bearings, camshafts, rings, and pistons. 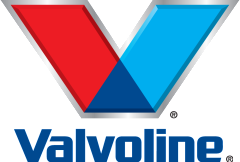 Valvoline Motor Oils In 1866 invented motor oil they have been reinventing it ever since. Valvoline has helped vehicle owners achieve maximum performance and prolonged life from their engines with motor oils specifically designed to meet the needs of different engine types and driving conditions. Valvoline’s newest innovation is NextGen™ the premium motor oil that’s better for the environment and great for your engine. VP Racing In formulating VP’s Specialty Lubricants, every molecule of every component is selected based on its contribution to maximum performance. As with its fuels, VP achieved this superior performance by working together with racing teams on their dynos and at the track. The same discipline and commitment that lead to the best fuels in motorsports was applied to the development of each of VP’s Specialty Lubricants.